It is definitely beginning to look a lot like Christmas. Especially, if you visit downtown Castle Rock.You’ll see that this town is ready for the season. The Season of The Star 2017 is underway with events happening daily. It offers the perfect break to spend time with your family amidst the season’s hustle. Throughout the season gather the family and visit downtown Castle Rock for shopping food and fun. While shopping be on the lookout for Rocky, the town’s Elf on The Shelf. The newly redesigned Festival Park sets the state for this cozy event. Bundle up and gather around the fire to roast marshmallows, make s’mores and sip some hot chocolate. While sipping your cocoa, Santa and a few of his friends will stop by to read some holiday favorites. The Philip S. Miller Amphitheater will transform into a winter wonderland for Reindeer Games. Fun for the whole family includes seeing Santa’s reindeer, train and sleigh rides, dress up like an elf, outdoor games and more! Plus, the big man himself will be on hand so kids can get a photo with Santa. Congregate at Festival Park to celebrate this special night as Calvary Castle Rock hosts this beautiful event. It’s a great way to celebrate the special holiday with family and friends. 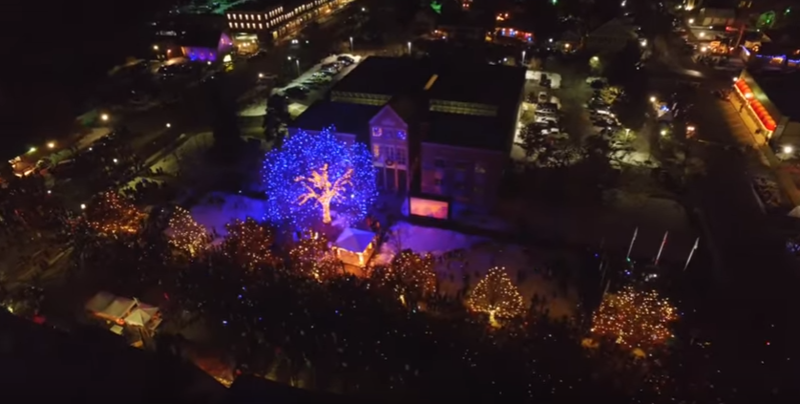 Take a short carriage ride or even stroll through downtown Castle Rock and you will quickly realize this truly is “The most wonderful time of the year.” Click here to learn more about the Season of The Star 2017 festivities in downtown Castle Rock.